Proven Steps on How to Lose Stubborn Belly Fat, Live Healthy & Build Muscle for Life! Staying fit by losing some weight can be considered as one of the most common strategies that you can take. It is especially ideal because it is all natural and safe for your health if correctly executed. Also, some people even overdo things or perform this strategy in a wrong way just because they have interpreted things in a certain manner. 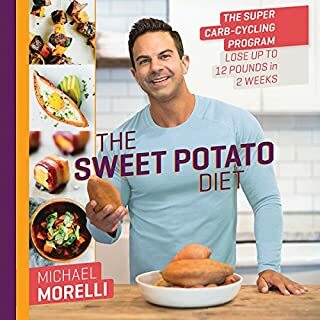 The Sweet Potato Diet will help listeners lose up to 12 pounds in two weeks using the author's simplified carb cycling method that uses one amazing carbohydrate: the sweet potato. 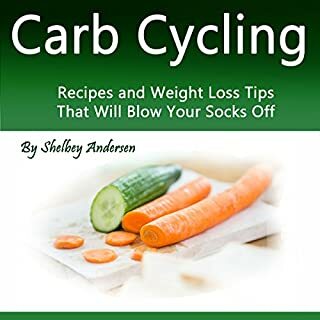 Would carb cycling help you lose all those pounds you want to get rid of? Many people have wondered about the significance of carb cycling. They cut down on their carbohydrates like crazy. And for some, it shows that it works. Others, however, struggle to figure out which way to do it. Some almost starve themselves to death, while others give up and figure that "your body needs carbs anyway", which is true, by the way. But is there a way to use a carb cycling system to benefit you? The answer is yes! 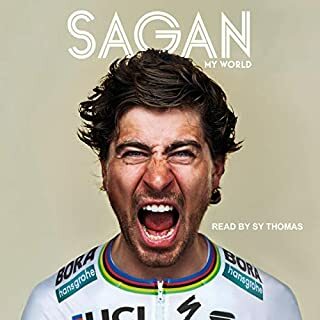 In this audiobook, there will be an explanation as to how and why. 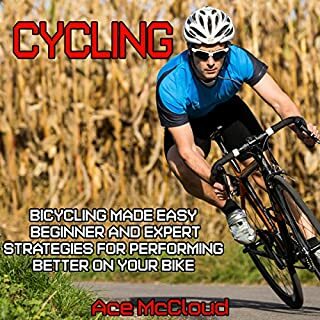 The Simple Way to Work With Your Body to Burn Fat & Build Muscle?Includes Over 40 Carb Cycling Recipes! Are you tired of feeling miserable and starving yourself to only temporarily lose weight? Do you gain too much excess fat when trying to build muscle? Do you want to be able to strategically enjoy delicious foods that will actually help you burn fat? If you answered yes, then you'll want to download this book. Would be good if there was a PDF of the recipes. Are you struggling with losing stubborn fat? 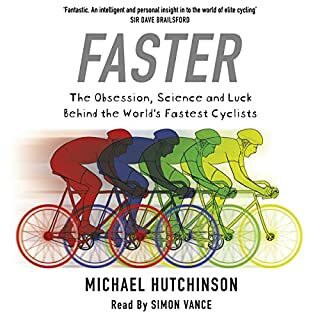 - Do you have pounds and inches that you just can't seem to get rid of, no matter what you try?- Does it seem like you're doing all the right things, but you're still not losing weight? Low-carb diets like Atkins and South Beach are notoriously difficult to maintain over time and have been deserted by millions of people. Health-conscious people all over America are ready for something better. What if someone told you that it doesn't have to be this hard? What if there was a simple program that allowed you to eat your favorite foods and still lose weight? What if you could finally have the body you've always wanted? In fact, you can! 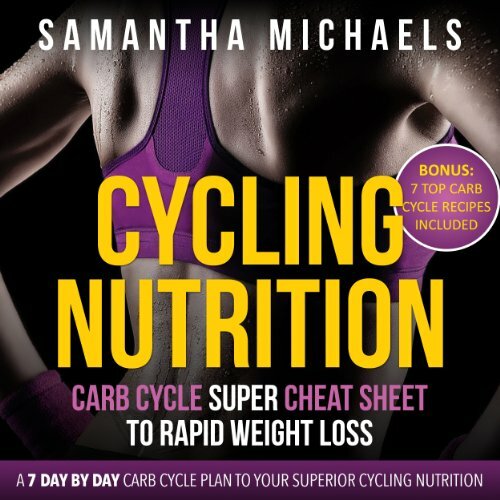 Cycling Nutrition: Carb Cycle Super Cheat Sheet to Rapid Weight Loss - A 7 Day by Day Carb Cycle Plan To Your Superior Cycling Nutrition is the answer. By allowing you to eat full, nutritionally balanced meals on any day, The Carb Cycling Super Cheat Sheet breaks away from the "deprivation model" of most diets on the market today. Alternating between limited-carb and normal-carb days, you have your cake and eat it, too, without having to rely on supplements or sugar substitutes.The guide also includes easy recipes and meal plans for normal- and low-carb days. There are no complicated tables, no calories to track, and no food portions to weigh. All you have to do is follow a few simple guidelines and eat the foods from the approved lists, included in this book. 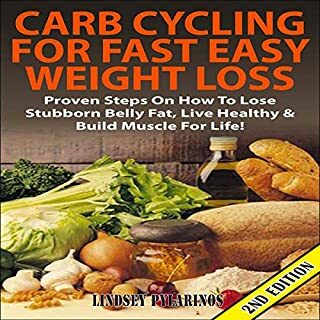 Plus, dozens of tips and tricks gleaned from over a decade of using carb cycling to help real people just like you in losing stubborn fat.